of love and I congratulate you on a job well done. After reading one of your chapters in Missing Pieces I left you a comment on it now I see what it was that had me posting to you. It was that your chapters are way way to short. I loved reading them although I’m not finished with them yet and sadly I’m finishing each one quicker than I am happy about. Every time I get to a last page I cringe! Noooo! Thank you PA for your writings I wish you’d add to them! Did you happen to write the last 3 books ? In Edwards point of view ? I have read your version and enjoy them so much more than the original. Edward has so much to day, his family is so unique, great to get to know then. Thank you.! this is great – I would still lover her to finish her book completely. I would love to know his thoughts during all of them. Hello, I have to say your continued writing of the rest of Stephenie’s Midnight Sun is amazin. I did have one request or maybe it’s a question. Why didn’t you include more comments from Bella? Letting all the questions Edward want to know be asked and answered? I know he had a million questions and that would have illogical and added at least a thousand pages, but a lot more than you did allow for. And hearing Edward thinking what her answer had been wasn’t near as enjoyable as actually reading her responses. I am so sorry to say anything even in the least derogatory about your writing as I have so enjoyed every word. Thank you so much for writing all of this and all that I still have to read. Sorry about where I posted this, but I so rarely post I didn’t have a clue where to put this. I have a question. Have you ever thought of writing ‘Forever Dawn’? Readers have so many questions about the unreleased book and since you have written Edward’s diary about what happens after Breaking Dawn, I was wondering if you would consider giving Forever Dawn a whirl. I would like to say…Thank you! 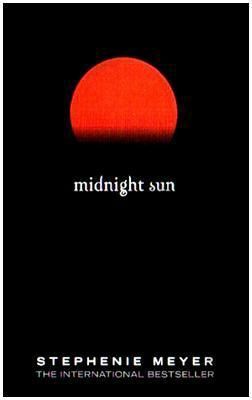 I read midnight sun when it came out, and I forgot about it until now. I finished it again and was disappointed to know that she still didn’t finish the book. I actually found this today by accident and it was the best discovery I’ve made. I’m halfway through part two and can’t wait to read more. It really makes you appreciate Edward more knowing his personality. Thank you for making this a reality! I’ve read the second part, and that’s amazing trust me. And, you’ve pretty much kept up Mayer’s version, not fully the same though.😉. But, it’s amazing. Am waiting for all the parts. Oh, and a request, if you don’t mind. Please tell me if you’re involved with Mayer for the franchise. It’d be fascinating. 😊😇. You’re right. No writer can fully imitate another’s writing or recreate her world 100%. I tried to make Edward’s viewpoint work as an extension to Meyer’s world as much as I could, but over time, I also added my own slant to Edward’s character while attempting to keep the facts as correct and congruent as possible. I wanted to understand what was going on in Edward’s (often opaque) mind, so analyzing his psychology and imagining his thought processes are what motivated my version. Well, that’s fantastic! 🙂 I didn’t know about Caleb’s audio, but I’m glad you found my website too so you could check out the written word. This is sooo good. I’m really enjoying this. Thank you! could you maybe translate this into norwegian? I am lost for words ! You are an amazing author! I watched the movies and then read your books and now I’m reading the original books and i must say i should have started with the original books because it is so boring compared to your books ! I laughed so much while reading your books, You make Edward fun and you make reading fun ! I loved these missing pieces books so much ! I couldn’t stop reading. You are the best and the best author in the world in my eyes ! When I’m done with Bella then I’m going to read your again ! Its amazing ! Thank you so much!!! Are there any hard copies available of these books? I am from South Africa and I would even ship them or fly them in if i have to. I would really love a hardcopy of them and also what other novels can you recommend for me to read that you have written of course ? Like I said i really like your way with words and i would read all your novels just name them ! Hi, thanks for asking, Esmerelda. I can’t provide print copies of these fan fiction books because I don’t own the copyright to the Twilight universe–that belongs to Stephenie Meyer. However, you are free to print them on your own printer and have them bound for your personal use. That’s the best I can do on that. Thank you so much for writing of these! I haven’t even read them yet, but I very much appreciate the time you set aside to write all this content! I freaking love reading this series from his perspective. This was AWESOME!! I happened to come across this site and was so happy to find a part 2 to this unfinished work. Honestly, i liked it better than Twilight and feel that Edward’s side is needed for all the stories (but it’s not necessary) thanks for taking the time to write this. I discovered them AFTER posting this comment and I’m already on Eclipse!! I love them and thank you for taking the time to write these. I haven’t read in so long but I find myself reading your work even while at work so thank you again! !